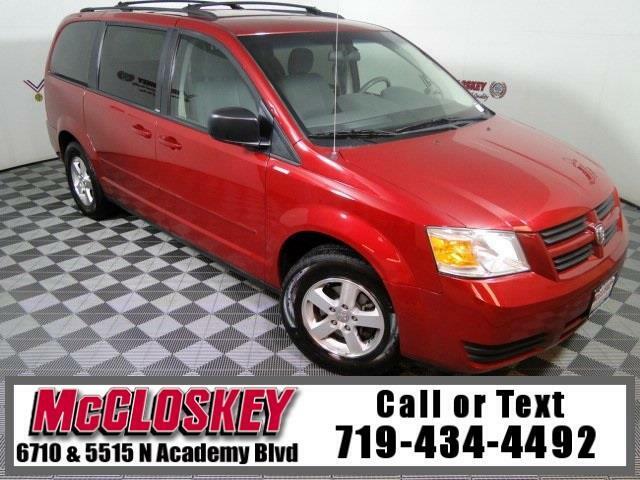 Haul the whole family in this 2009 Dodge Grand Caravan SE with Cruise Control, CD Player, Mighty and dependable 3.3L V6 Engine, and Power Windows and Door Locks! The more common SE comes standard with 16-inch steel wheels, full power accessories (including second-row power windows and third-row power vents), air-conditioning, cruise control, keyless entry, tilt steering column, Stow 'n Go second-row seats, stain-repellent cloth upholstery, a flip-down kiddie mirror and a CD/MP3 player. The SE trim gets a 3.3-liter V6 good for 175 horsepower and 205 pound-feet of torque. Like all minivans, the 2009 Dodge Grand Caravan has its fair share of innovative interior features. The most notable are the various second-row seating choices. Standard Stow 'n Go features a pair of captain's chairs that disappear into the floor (as the third row does) creating a perfectly flat load floor and up to 140 cubic feet of cargo room with no hernia-causing seat lifts. This vehicle passed our 110 multi-point inspection and is backed by our National Quality Dealer of the Year Award. We are an ''A+'' Better Business Bureau Rated Business. We offer low interest rate financing, low down payments and the highest trade allowances in the state! Here at McCloskey we do things a bit differently, we shop our competition every day to ensure a great value to you. Come on down and experience it for yourself. This McCloskey Assured vehicle includes a Vehicle History Report!! At McCloskey we strive to provide ASSURANCE, TRUST, VALUE AND QUALITY! Call 719-434-4492.